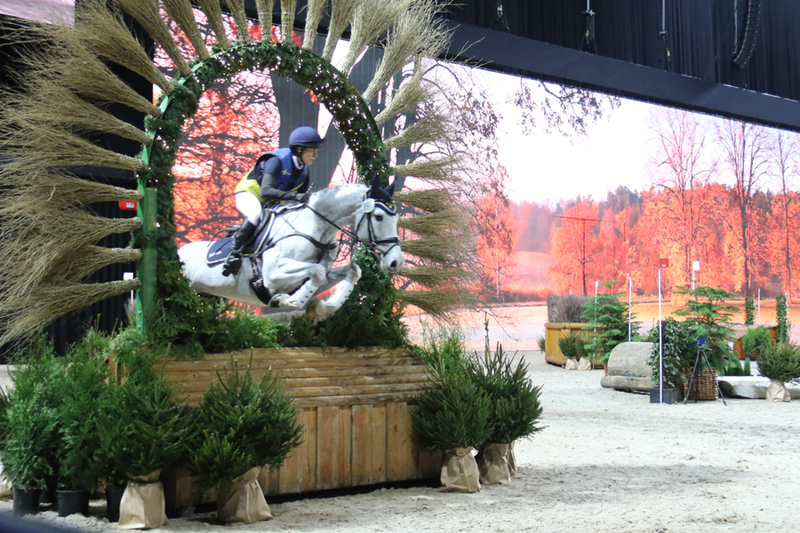 Swedish home rider Louise Svensson Jähde won the indoor cross country in Stockholm in Friends Arena, just ahead of European Champion Ingrid Klimke, Germany. Svensson Jähde rode the 11 year old mare Waikiki 207 clear over all three phases and with the fastest time. – I was a bit nervous because the horse hasn’t been in an arena like this before. But she was really cool, it was just for us to do the work. It was a fantastic atmosphere in the arena and it is of course very special to win in front of this crowd, says Svensson Jähde. The mixed team, Peter Flarup, Denmark, Tim Price, New Zeeland and Irish team mates Joseph Murphy and Elizabeth Power claimed the team victory. The Swedish team with Louise Svensson Jähde, Niklas Lindbäck, Ludwig Svennerstål and Sara Algotsson Ostholt was close on second place.